Our brief was a quick wine taste tour of the McLaren Vale wine region for Phil and Alison Hoffman to showcase the area to their international guest Joe.  The small wine tour group was from the Stamford Grand, Glenelg and after a pleasant 45min journey down the coast we arrived at our first stop – a private barrel tasting with the winemaker Paul Petagna at Petagna Wines. Paul thoroughly explained his winemaking process whilst encouraging his guests to sample a variety of his McLaren Vale wines direct from the barrel. This was followed by further wine bottle tastings, accompanied with cheese, crackers and locally grown olives, and made for a most enjoyable and informative 1½ hours. Our next stop was Kay Brothers winery where our expert guide Bob took us all through not only the wine tasting range but also a few premium wines from older vintages kept under the counter! The McLaren Vale wine tour finished up with a leisurely 3 course lunch was enjoyed at The Elbow Roomrestaurant with Joe commenting afterwards “it was the best meal I have eaten since arriving in Australia”.